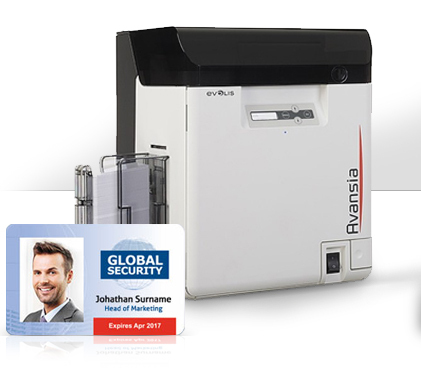 The Evolis Avansia is a Double Sided premium retransfer printer, for high security and quality cards. Because of this printer’s capacity to be able to print high security cards the printer can be easily locked by removing the RFID Electronic Key; meaning that no unauthorised use of the printer can occur and no one can take the cards after being printed. The Avansia prints at a high resolution guaranteeing a high standard of card and combined with the fast printing rate; you can have confidence that the Avansia with save you time without compromising on quality. High resolution 600 dpi: images and text are printed perfectly and small text and watermarks are printed in high definition. Avansia is exceptionally fast with an output of more than 140 single-sided colour cards per hour. Thanks to the high capacity feed tray and output tray (250 cards each) - and high capacity consumables (500 prints per roll), you can print your card runs with no interruptions. Avansia can be easily locked by removing the RFID electronic key. This quite simply prevents any attempt to use the printer. 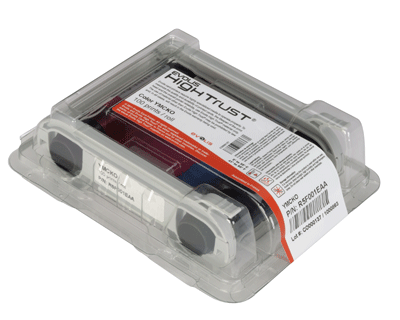 A mechanical key lock, available as an option, prevents access to consumables. Moreover, Avansia comes with a security slot (Kensington® type). The Evolis Avansia card printer is easy and simple to use; but if your having trouble and need some help, take a look at the videos below. Simple to understand and follow, these helpful videos can help you whether its cleaning your printer or making an adjustment to the settings. Produce high quality ID cards by keeping your Avansia card printer clean - watch this simple step by step video to get the most out of using our cleaning kits. How to adjust card thickness? 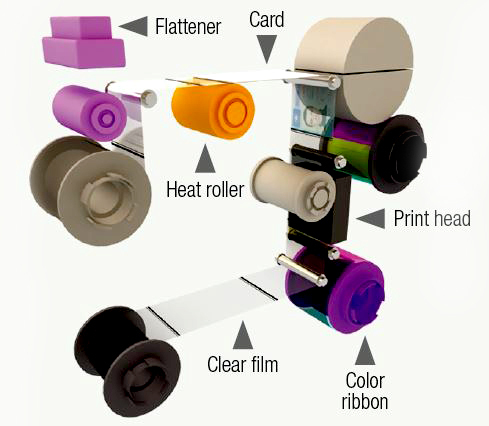 Print a variety of ID cards on the Evolis Avansia card printer. Watch this video to see how you can adjust the card thickness settings to get the best results.